Inspired By True Events - Blood seems like an inefficient medium to use for poetry. 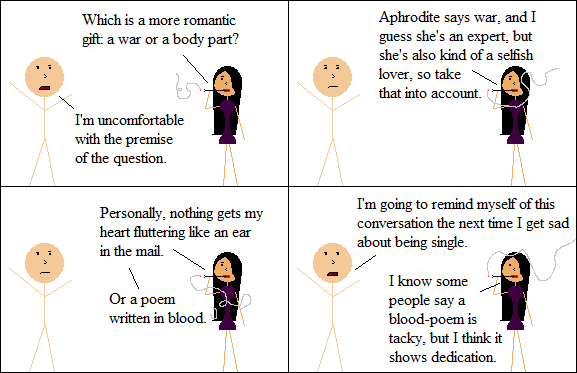 Blood seems like an inefficient medium to use for poetry. I’m not wholly comfortable with self-mutilation, imaginary readers, but war seems like a bad gift, in general.